← SHADOWBLADE cover and updates! …It’s in production! And, it’s going to be gorgeous — I just know it! With my foreign language background, I tend to find an odd dissonance between the words as they sound in my head and their look on the page. I carefully avoid reading my text out loud before it is completely finished, because these off-accent sounds tend to kill the mood for me. There are also all the layers of seeing my words on the computer screen and on a printed page. And then there are the names. I’ve seen readers and reviewers comment on them, and sometimes wonder about their pronounciation. 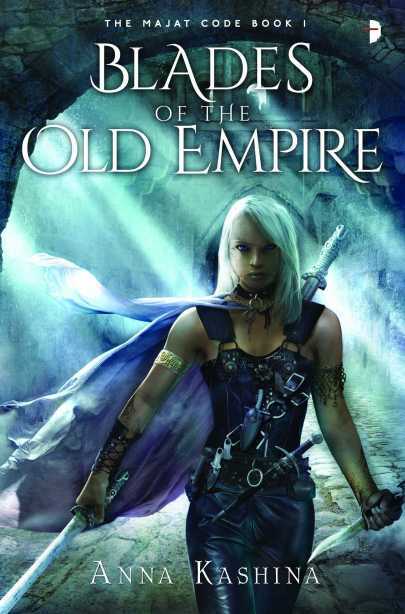 You can’t imagine my excitement when earlier this month I received an audiobook contract for BLADES OF THE OLD EMPIRE, the first book in my Majat Code series. Or, the excitement of discussing the pronounciation key and writing down the way the character names sound in my head. Getting the narrator’s input and great suggestions on conveying the accents and flavors of speech in my book, from the northerners living around the Majat Fortress, to the commoners’ speech in the Lakelands, and the soft lilt of the visitors from the deserts of Shayil Yara… I am so excited to hear it all for the first time, and to witness my created world acquire new dimensions through the narrator’s voice. And yes — hint, hint — this is only the beginning… Stay tuned for more!